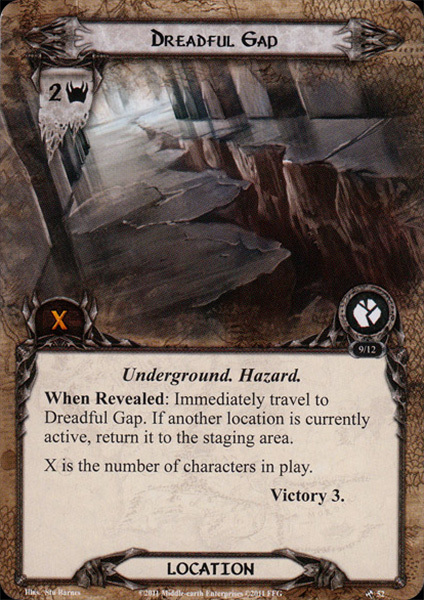 When Revealed: Immediately travel to Dreadful Gap. If another location is currently active, return it to the staging area. X is the number of characters in play.